One can NEVER go wrong with flowers and chocolate – but for garden lovers, it makes ‘good green sense’ to opt for living indoor flowering plants! Early autumn offers a wide array of stunning indoor pot plants – cyclamen are a firm favourite, as are gerbera, begonia and calla lilies. Our focus this month is on the Phalaenopsis, or Moth Orchid. A classy, stylish pot plant with simply exquisite blooms. 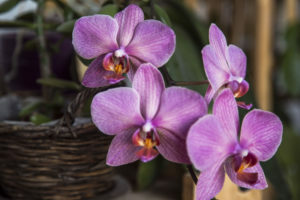 If you are looking for something ‘special & different’ for an over-worked and and often unappreciated mom, then choose a moth orchid as unique, stunning and as deserving as your mom! Orchids were once regarded as rare, exotic plants but are now a common and popular houseplant, prized for their wide selection of stunning blooms and ease-of-growth. Phalaenopsis amabilis (Indonesian meaning ‘moon orchid’) can be found growing naturally on tree branches and between rocks. In tropical climates, Phalaenopsis orchids tend to grow on tree branches and between rocks, usually near a source of water for moisture. It is one of three national flowers in Indonesia and is often called the ‘beginner’s orchid’ because of its tolerance to average room conditions. In China, the moth orchid represents refinement, friendship, perfection, numerous progeny, all things feminine, noble and elegant. Phalaenopsis are one of the easiest varieties to care for. The exquisite blooms range in colour from the clean classic white, to intense dark pink, with the latest ‘orchid trends’ tending towards mottled and speckled petals. These super ‘easy to care for’ orchids have the added bonus of long-lasting blooms. 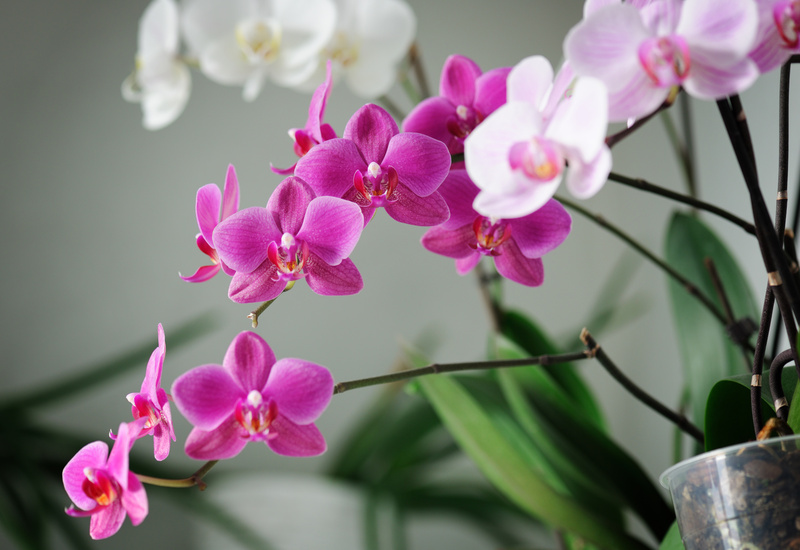 When purchasing orchids, select plants with sprays of flowers that contain flower buds as well as open flowers. This staggers the flowering time, ensuring longevity and extended colour. Moth Orchids can be expected to bloom for 4 – 6 weeks, sometimes longer. In nature, moth orchids flower annually after the cool season. After flowering, continue to water the leathery leaves and position in low light – new flowering spikes should be initiated within a year, depending on when the plant was purchased. Position: Whilst flowering, position orchids in high light area indoors. Moth Orchids are sensitive to wind and draughts, so and try find a protected area out of direct sunlight. Moth orchids can be grown successfully outdoors as well. Watering: Weekly watering is sufficient. Tip: Simply place 2 ice cubes onto the soil medium weekly to keep your orchid in tip-top condition. Once the flowers have finished blooming, cut back the spent flower spikes. Feed orchids monthly, both during and after flowering. This promotes plant growth and future flowering.